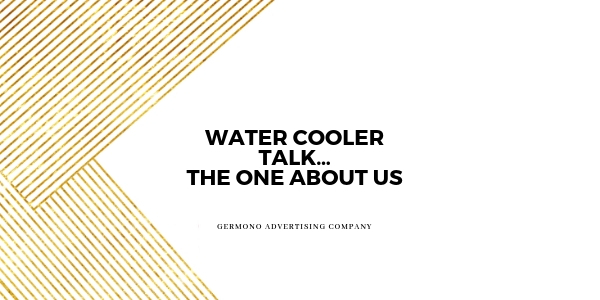 The team was having one of our water cooler chats and among the topics we discussed, the one of advertising and marketing came up. What led us all to this crazy, exciting industry we work in? Read to find out! True story. I wanted to be a news anchor. Rachael and I have this in common in a way. I went to Old Dominion University and did an internship at a local television station. Boy, was I shocked. I was like, is this really what it’s like? You sit at a desk and read a teleprompter? I hated it. I then switched my studies to Communications because that means less math and well, that worked for me. Sliding through my undergrad years, I didn’t really know what I wanted to do “when I grew up.” I envied those who did. How do you know what you want to do at 18?! After college, I moved to a city outside of Boston and sold cars. I was 21 and had no idea what I was doing. I cracked the windshield of one of the cars while shoveling off 6 inches of snow and slid my car into a tree because I was driving on ice for the first time in my life. No injuries there, but the folks at the dealership razzed me and gave me a hard time about it. I learned more about sales at that dealership than any book can offer. I learned how to use my southern charm mixed with the edge it takes to be in a male-dominated industry to achieve top salesperson my third month at that dealership. Reading people, listening, and understanding their needs has always come very natural to me. In Virginia I started working for a broadcast television station selling commercial airtime to local businesses. I moved on to sell cable commercials for Cox Media, the media division of Cox Communications, and thought, this. is. the. life. And it was! The perks, the friendships, the clients… I was movin’ and shakin’ and it was glorious. I feel there is no other industry for me. Advertising and marketing is what I know, what I’m good at and most importantly, what I enjoy. I love working with other business owners and sharing their celebrations when they see their commercial on-air. I wanted to help businesses with all of their advertising, not just television, so launched the agency in 2013 and have never looked back.